Taking To The Skies: What We Learned From Uber Elevate 2018. In May of 2018, we had the honor and privilege of attending Uber Elevate, a future of air transportation conference that took place in Los Angeles. Over 1,000+ visionaries, engineers, technologists, and all-around brilliant people from across the globe came together, with both reputable industry giants and rapidly growing startups all represented. Their goal? Discuss, analyze, and plan for the future of rideshare transportation, united in bringing to life Uber’s most ambitious and innovative offering to date: uberAir. The conference unfolded over two days and included panels, presentations, shared learnings, conversations, networking, and discussion after discussion of hurdles that still needed to be cleared in order to make this Jetson’s-like future a reality. Spoiler alert: There’s a lot that still needs to happen, but if anyone understands the challenges ahead, it’s Uber and its partners. At TEAGUE, we’ve helped revolutionize how humans move through our world for almost a century. While we’re no strangers to the rapidly approaching challenges facing cities and traditional methods of transportation, such as airports and freeways, we learned a ton from Uber Elevate and have emerged with a rejuvenated perspective and massive amounts of excitement and hope for what’s to come. #1: This is not a drill. Flying cars are actually happening. 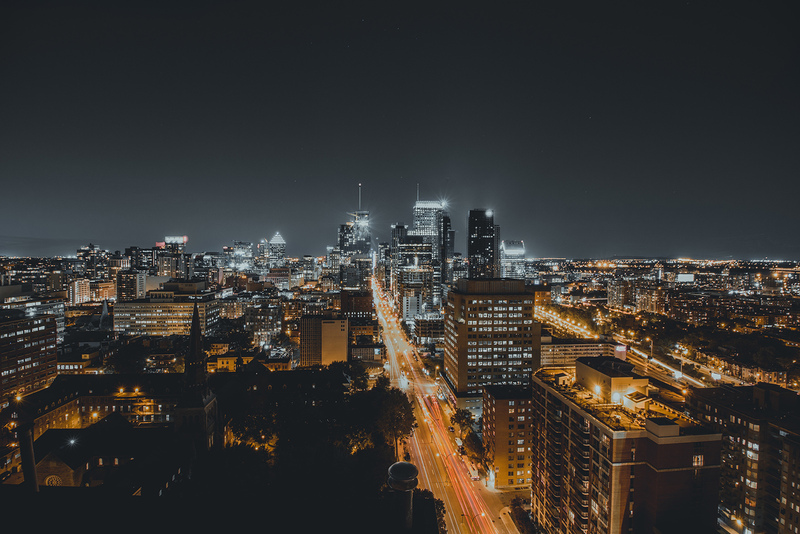 2017 marked Uber’s inaugural Elevate conference, where they announced to the world their intention to bring uberAir to market in 2023, with Dallas and Los Angeles city pilots kicking off in 2020. While this excited and rallied manufacturers and futurists across communities ranging from autonomous vehicles to traditional airlines, everyday consumers remained either skeptical or unaware. This year in 2018, however, the incredible progress that Uber and their numerous partners have made has only reinforced that eVTOL’s (or electric vertical takeoff and landing vehicles) are, in fact, happening in the next five years. Think about that. Five years. After decades of dreaming about personal aircrafts that could rise up and zoom over traffic, getting us from one city to another in minutes instead of hours, this will become a reality not only in our lifetimes, but within the current existence of Snapchat, which we all know as a wildly popular, industry-defining revolution in social media, but that also just launched over half a decade ago. #2: Thousands of puzzle pieces still need to come together. As one can imagine, creating a future with flying rideshare vehicles has an absolutely massive amount of considerations for companies involved to have to sort out. Everything from the ergonomics of the aircraft interior and weight distributions of people and their luggage, to aircraft sizes, shapes, propulsion methods, and decibel levels above the people and streets below, to environmental and sustainability factors and regulations, to battery life and charging techniques. The good news is, all of these components already exist in real-time, and connecting them together is already in motion. Experts from dozens of backgrounds and specialists from all of these fields (and more) gave talks and participated in panels to address as many of these considerations as possible, including numerous representations from the FAA, who are, for the first time, working hand-in-hand with Uber on implementing policies and ensuring the utmost compliance. Needless to say, while all of the considerations couldn’t be covered in two days, Uber did a great job spanning the landscape and showing the world they’re addressing every single one with equal weight and importance. #3: Navigating existing city infrastructure is a huge challenge. 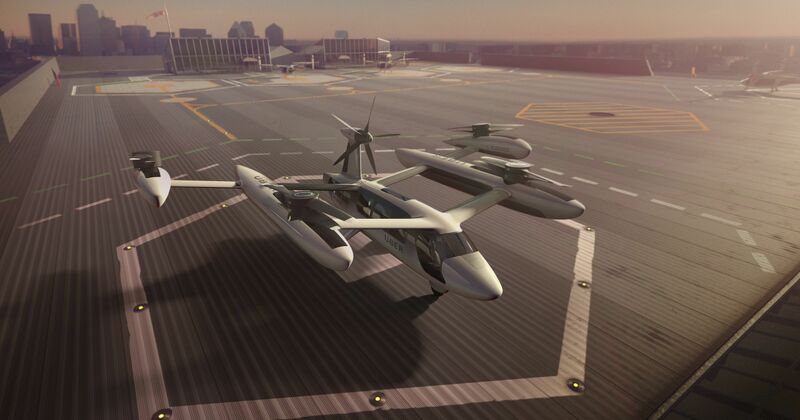 Uber is aiming toward a world where millions of eVTOL-based trips happen every single day across the United States, reaching five or ten times what the FAA currently handles in commercial flights nationwide. But the reality is, current city infrastructures are not set up to handle the vision that Uber has in mind. Building expandable Skyports on top of existing skyscrapers or parking garages is going to be a massive challenge, both from a zoning and scaling perspective. That said, old infrastructure might have new life with eVTOL. “Airport parking garages will need to be repurposed when autonomous vehicles make their current business models obsolete. 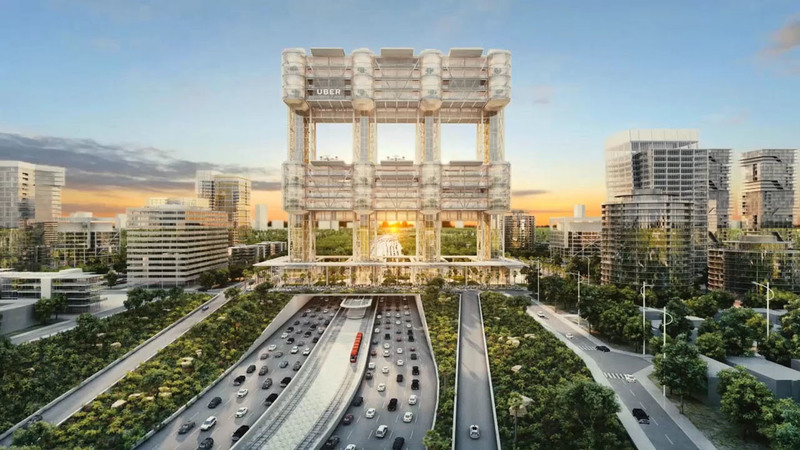 But the roofs of these massive structures could be ideal for eVTOL, essentially adding new runways vertically,” says Devin Liddell, TEAGUE’s Principal Brand Strategist who has included eVTOL in recent conceptual explorations of future airport infrastructure. Building on this notion, Uber has partnered with cities directly (piloting in Dallas, Los Angeles, and a yet-to-be-chosen international city) to face these challenges together, instead of the “Let’s launch and see what happens” approach they took with UberX. Together they’re analyzing the data from Uber’s proprietary Flux Optimizer (a demand forecasting and network visualization tool) to scope out which “nodes”, or sections of the city such as downtown or near the airport, make the most sense to build their initial Skyports. The goal is to then either expand them vertically or to other nearby buildings to accommodate an increase in demand and trips. But even with the city’s cooperation, this will be no small feat. Uber will certainly see opposition from individuals and corporations alike, not to mention numerous structural, architectural, and electrification challenges (all of which are already being considered, by the way.) Only time will tell how (or if) they’ll overcome. #4: User adoption and price will be the biggest hurdles for mass adoption. “It’s about driving desire,” maintained Jeff Salazar of McKinsey Design during a panel on sustainability. Just like the high-end experience of Tesla truly got humanity interested in driving 100% electric (versus the “false start” of vehicles with similar benefits from decades early that simply couldn’t get market traction because, let’s face it, you didn’t want to be that person driving the weird electric car), it’s Uber’s obligation to elevate the presence of, and desire for, this new transportation. The hurdles they encounter will then become more manageable, because the individual benefit and willingness to adopt will overshadow the doubt. "Uber has an opportunity to change people's relationship with this new world, but it’s also their responsibility.” Salazar concluded. Ultimately, mass adoption of ridesharing (both on the ground and in the air) to create true sustainability will require a massive shift in consumer behavior. Alleviating the pain-point of sitting for hours in traffic is a huge driver, and incentives from the government certainly help, but it may simply take a generation growing up with this transportation as the norm for humans to truly accept it, just like we do with commercial flights today. #5: No one company can accomplish this future alone. They just can’t. Throughout history, we’ve had numerous transportation revolutions: Steamships, trains, automobiles, planes, and more. But for quite possibly the first time in history, Uber is aiming to be first to create a new mode of transportation, without attempting to monopolize the industry. In recognizing that there are thousands of moving pieces, considerations, and hurdles, many of which will take expertise, dedication, and skill sets they simply don’t have (and certainly don’t have time to master) Uber has partnered with just over a dozen companies like NASA, Aurora Flight Sciences, Bell, and Karem, to speed up the process of bringing rideshare eVTOL’s to life. At TEAGUE, we’ve always believed that companies should be innovating at the seams and consistently encourage our partners to trust in co-making as a blueprint for moving their products, business, and industry forward. With the ultimate success of uberAir’s future hinging on it’s growing community, our team was thrilled to see our long-standing approach of co-founding new futures take center stage at Elevate 18. We can’t wait to see what next year brings. Planning to attend Uber Elevate 2019? We'd love to meet you. Shoot us a message at hello@teague.com, and we'll see you in Washington DC!